The fate of The Walking Dead: The Final Season is still unknown, and this doesn’t help. 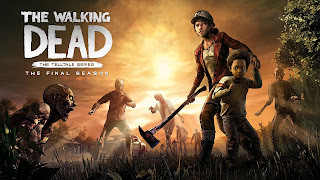 The game’s GOG page has a notice that states that “Telltale has requested a temporary pause of sales of The Walking Dead – Final Season. For all up to date Telltale news, please refer to their official Twitter page”. At the moment, the game is not available on GOG.com, Steam and the Playstation Store. Other store fronts will most likely soon follow, so if you haven’t gotten it yet you better get on that.